Pittsburgh will have to pay just $13 million of the $33 million Burnett is due to steal earn in 2012 and 2013, and they surrender 25-year-old pitcher Diego Moreno and 20-year-old outfielder Exicardo Cayones. Admittedly, they are not top prospects, but they’re both young, and who knows what the future might hold for them? The Yanks will take the opportunity to spend some of Burnett’s former cash to sign a new designated hitter, with aging Raul Ibanez of Philadelphia the top target. I’m not sure that a 39-year-old DH is the way to go, but he’s only looking at a $1 million salary. OK, it was a fire-sale bargain for the Bucs, and the Yanks are still on the hook for a lot of money, but it was worth it to get rid of at least some of Burnett’s salary and move his worthless carcass out of the Bombers’ bullpen. As long as he was taking up space and cashing monstrous checks, there was pressure to let him pitch lose games. Now, manager Joe Girardi will no longer feel compelled to wedge him into the rotation. In other words, “Those who can, do; those who can’t, teach.” And Burnett proved in the past couple of seasons that he can’t pitch anymore. 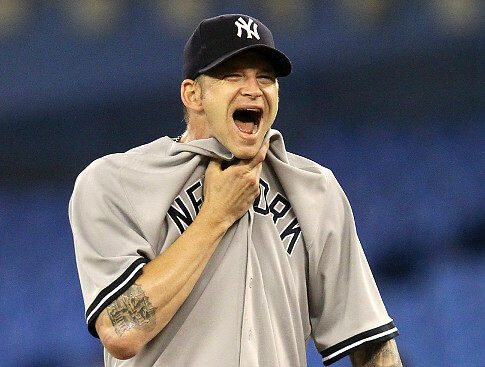 Burnett, a 35-year-old right-hander, piled up a 34-35 record with a 4.79 ERA in three seasons with New York. He was a sterling 11-11 with a 5.15 ERA last year. Burnett can still mess it up by failing the physical when he reports to Pirates camp on Sunday, but both sides believe he will pass. Let’s hope so, because he can’t get out of town fast enough for me. This entry was posted in MLB, Sports and tagged A.J. 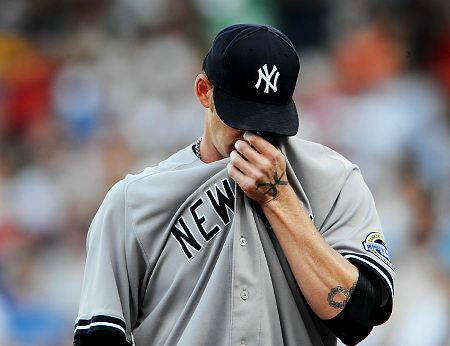 Burnett, New York Yankees, Pittsburgh Pirates, postaday2012. Bookmark the permalink. John Carter Marketers: You’re Doing It Wrong!